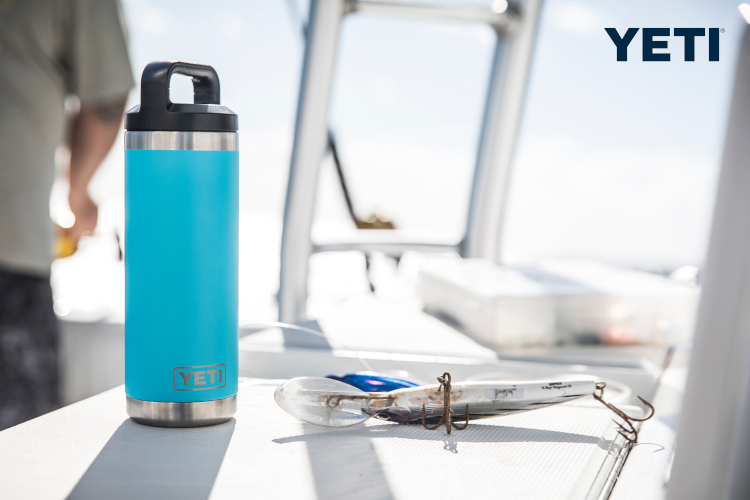 Carry your ice cold or piping hot beverages wherever you go. 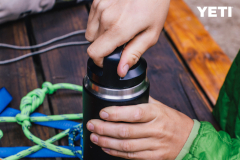 The Rambler Bottles can easily be loaded and cleaned, but with its wide mouth Over-the-Nose™ technology, there will be no more bumping your nose as you drink. The Bottles feature a TripleHaul™ cap which provides an easy-to-carry three finger grip. It's 100% leak-proof and insulated. As with all Rambler vessels, the bottle is made from durable 18/8 stainless steel with the double-wall vacuum insulation that keep beverages cold (or hot) as it prevents condensation to keep fingers dry.